This genus is accepted, and is native to Europe, Asia-Tropical, Africa, Southern America, Northern America and Asia-Temperate.. Seeds smooth and flat, with little or no endosperm present; testa becoming mucilaginous on wetting; embryo straight. Shrublets or, more frequently, perennial or annual herbs, sometimes woody at the base. Leaves sessile, alternate (or sometimes opposite or whorled at the base of the stem), entire or with a denticulate or ciliate margin, 1- to several-nerved; stipules glandular or absent. Flowers terminal, few to many in monochasial or subdichasial cymes or more rarely solitary, homostylic or heterostylic. Sepals 5, quincuncial, entire or with glandular-ciliate margin, free, persistent. Petals 5, yellow, blue, red, pink or white, free or very rarely united at the base, shortly and narrowly unguiculate with a terminal claw. Stamens 5, alternating with the petals and with the filaments ± united in the lower part to form a tube bearing 5 nectary glands outside; staminodes alternating with the stamens and forming filiform processes from the staminal tube, or absent. Ovary 5-locular, each loculus partially divided by a false septum; styles 5, free or rarely united in the lower half; stigmas capitate or obliquely clavate. Fruit a 5-locular 10-valved capsule with 2-seeded loculi, the seeds in each loculus partially separated by a well-developed false septum. Seeds smooth, flat, with slime-epidermis and little or no endosperm; embryo straight. Linum adustum E.Mey. ex Planch. Linum album Kotschy ex Boiss. 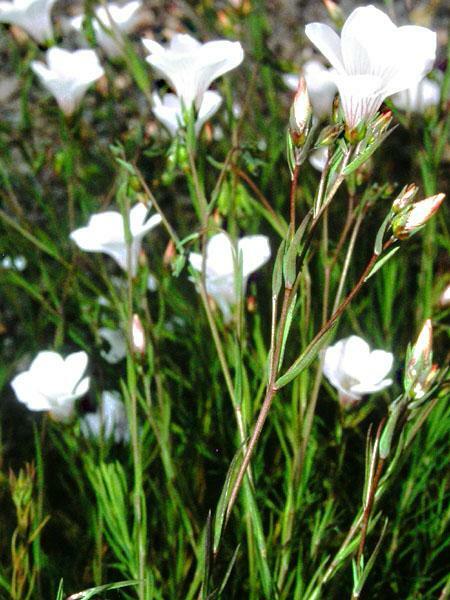 Linum altaicum Ledeb. ex Juz. Linum aroanium Boiss. & Orph. 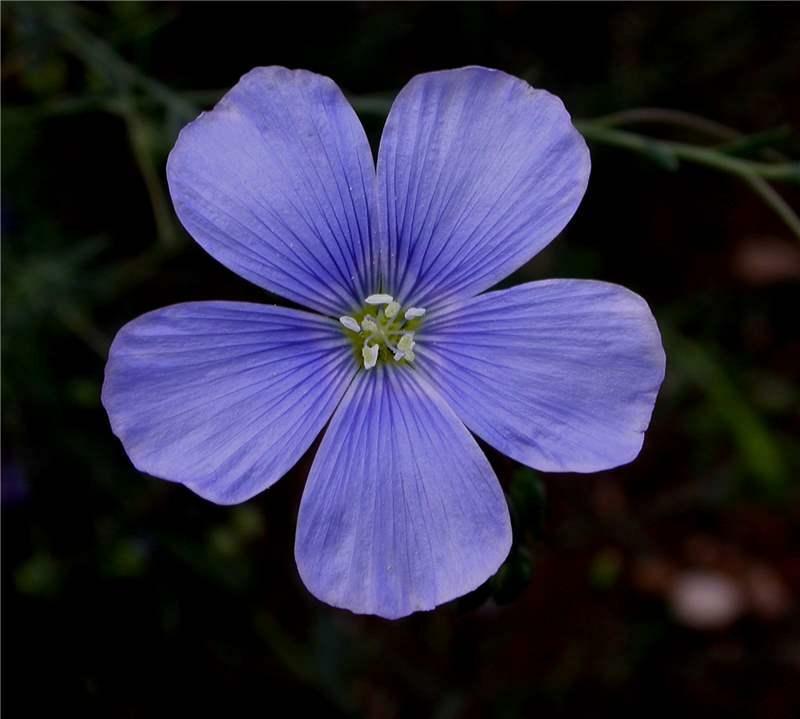 Linum basarabicum (Savul. & Rayss) Klokov ex Juz. Linum boissieri Asch. & Sint. ex Boiss. 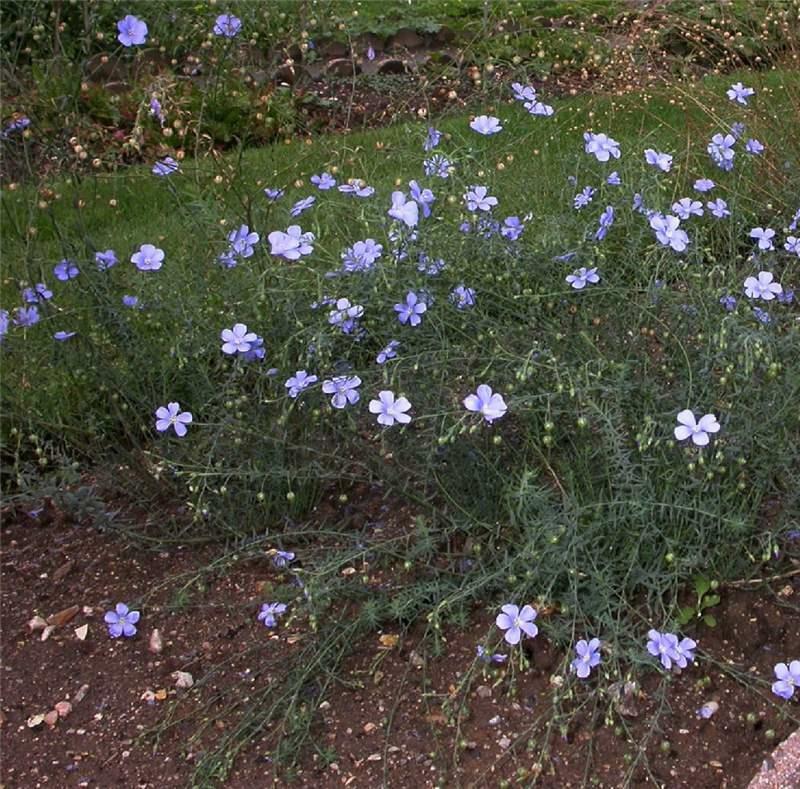 Linum capitatum Kit. ex Schult. Linum elegans Spruner ex Boiss. Linum flos-carmini Ruiz-Martin, Mart.Labarga, Jim.Mejías & Pérez-Barr. Linum gracile Sm. ex Planch. Linum iranicum Hausskn. ex Bornm. Linum khorassanicum Joharchi & Behrooz. Linum mysorense B.Heyne ex Benth. 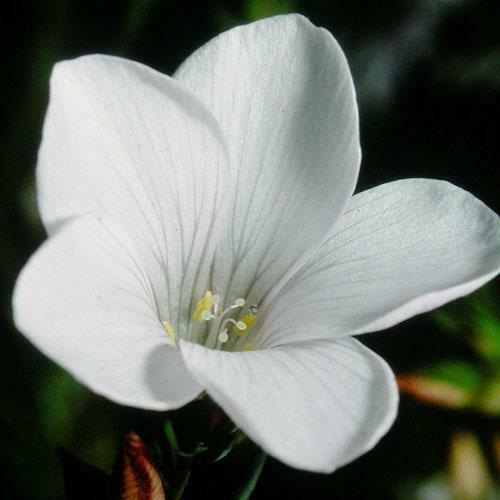 Linum nervosum Waldst. & Kit. 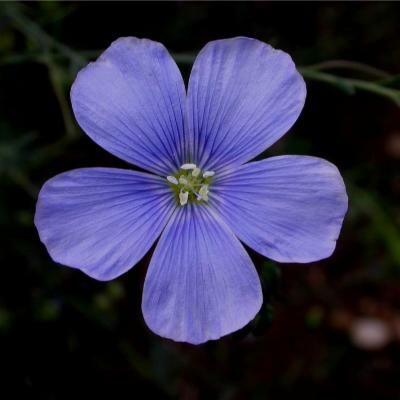 Linum oligophyllum Willd. ex Schult. Linum pamphylicum Boiss. & Heldr. ex Planch. Linum prostratum Dombey ex Lam. Linum pubescens Banks & Sol. Linum schiedeanum Schltdl. & Cham. 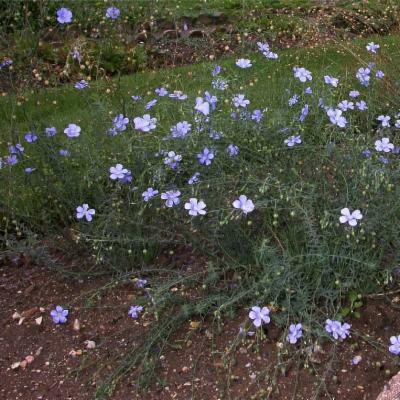 Linum squamulosum Rudolphi ex Willd. 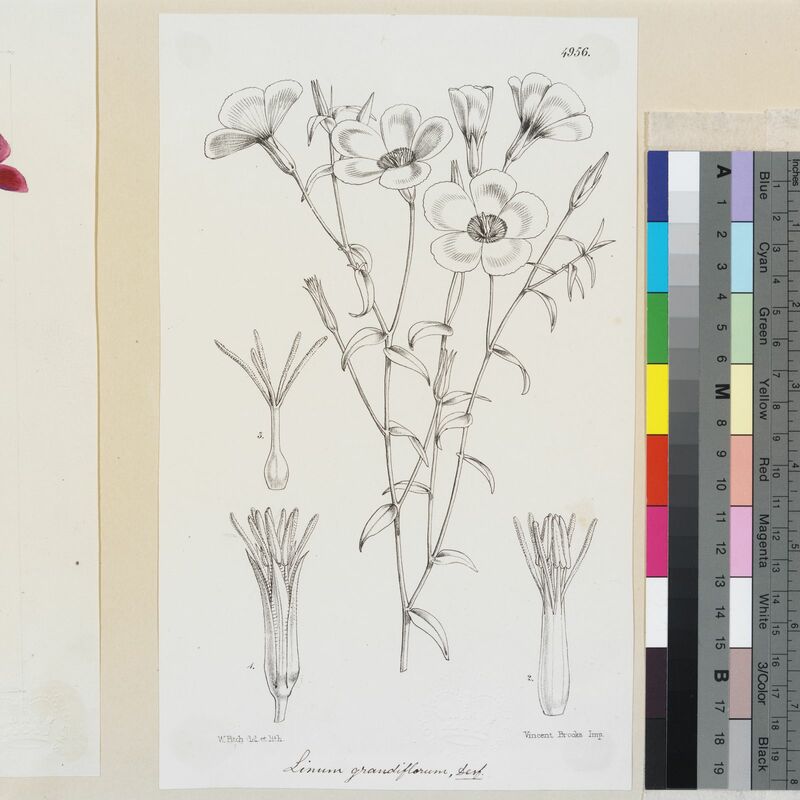 Linum tenellum Schltdl. & Cham. 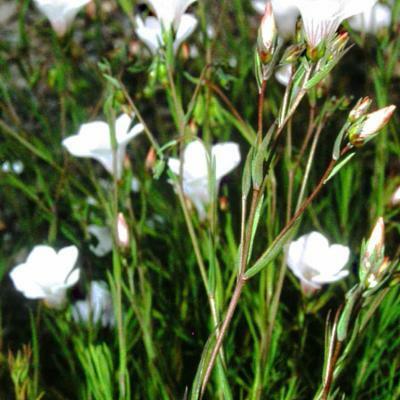 Linum thunbergii Eckl. & Zeyh. Linum ucranicum (Griseb. ex Planch.) Czern. Linum velutinum Steud. ex Planch. Linum virgultorum Boiss. & Heldr. ex Planch. Svetlova, A. (2009). 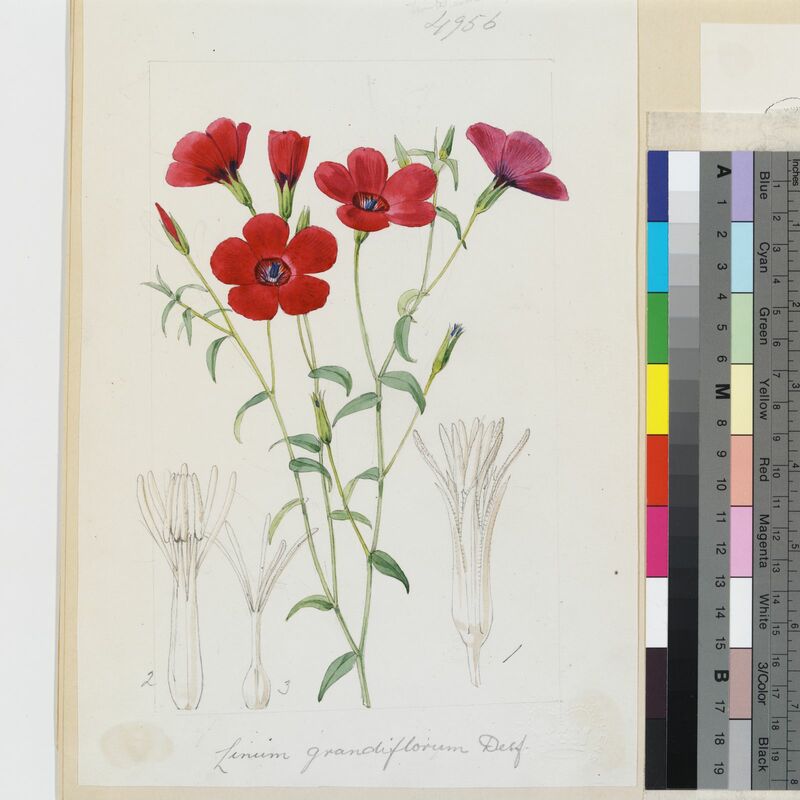 The taxonomic review of the genus Linum L. (Linaceae) of the flora of Russia and adjacent states Novosti Sistematiki Vysshikh Rastenii 41: 99-165. Gen. Pl. ed. 5: 135 (1754).